OSWEGO – More than 30 people gathered at the Richard S. Shineman Foundation’s office the early evening of August 4 to pay tribute to Dr. Selma Sheridan. 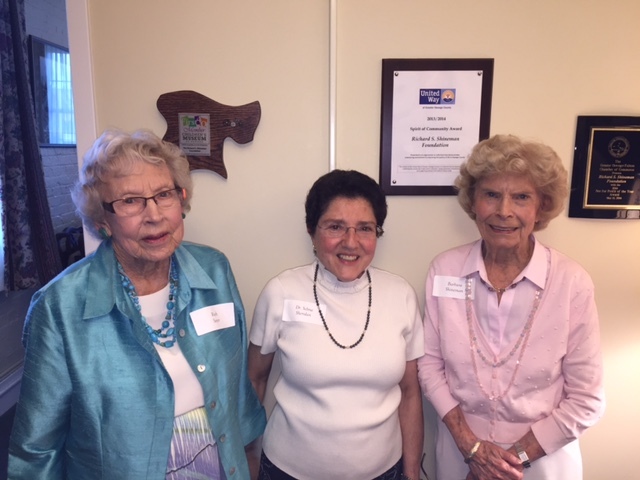 From left are: Ruth Sayer, Dr. Selma Sheridan and Dr. Barbara Shineman. Physicians, business leaders and SUNY Oswego President Deborah Stanley and her husband joined event organizers Dr. Barbara Shineman and Mrs. Ruth Sayer at the reception. Dr. Sheridan served the community of Oswego for 38 years as one of its most renowned ophthalmologists. She is looking forward to retirement and being able to do some of the things she never had time to do before.